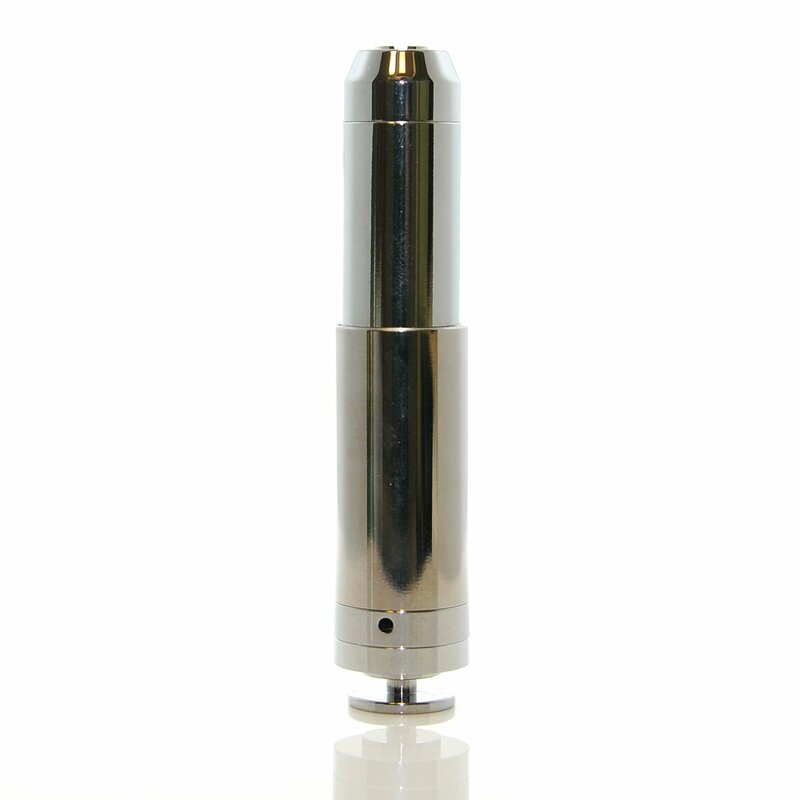 The Telescope Mod is a mechanical mod with the button on the bottom. As it's name implies this mod can be adjusted to accomadate different battery sizes by screwing the body sections up or down. It is simple and elegant in both it's form and function.